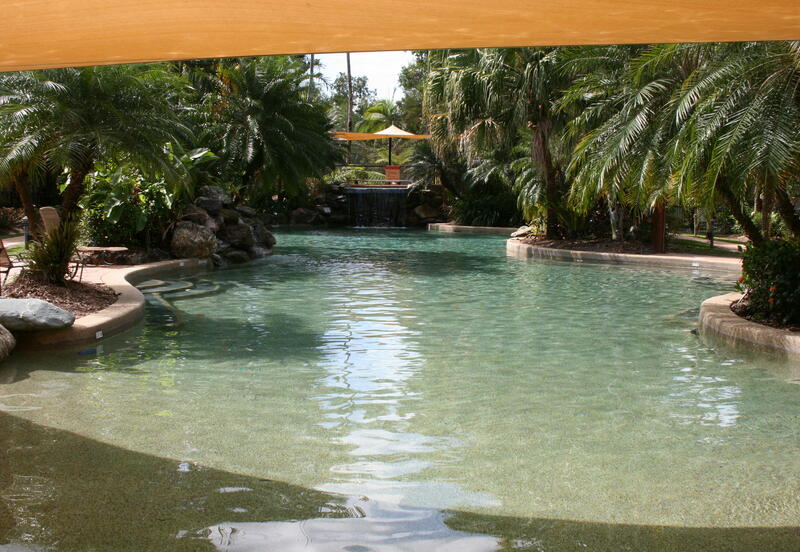 The two enormous swimming pools at World Mark Cairns were so fantastic, that my kids would have been quite happy to never leave the resort, for the entire length of our stay. 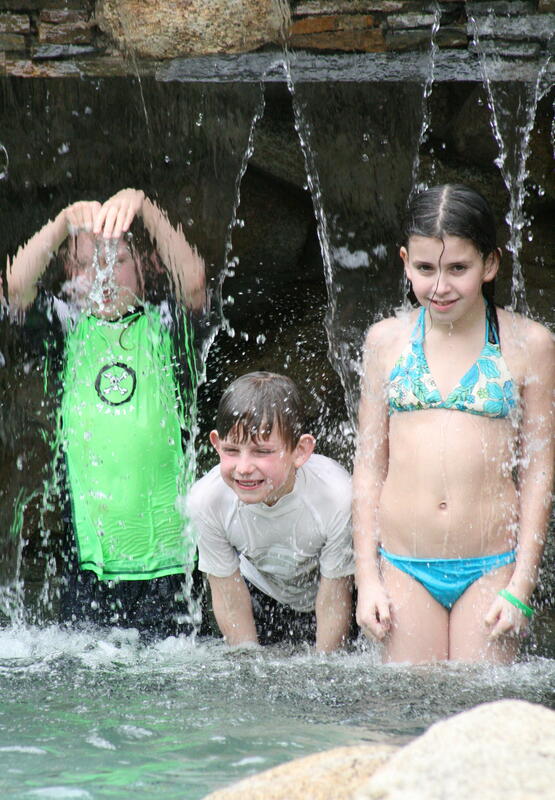 The waterfalls at the resort kept my children busy for hours. They laughed and played together as I lay and watched on from a beach chair in the dappled sunlight of the glorious palm canopies. The resort is full of so many little touches of perfection that I constantly have to remind myself that I haven’t actually left the country. 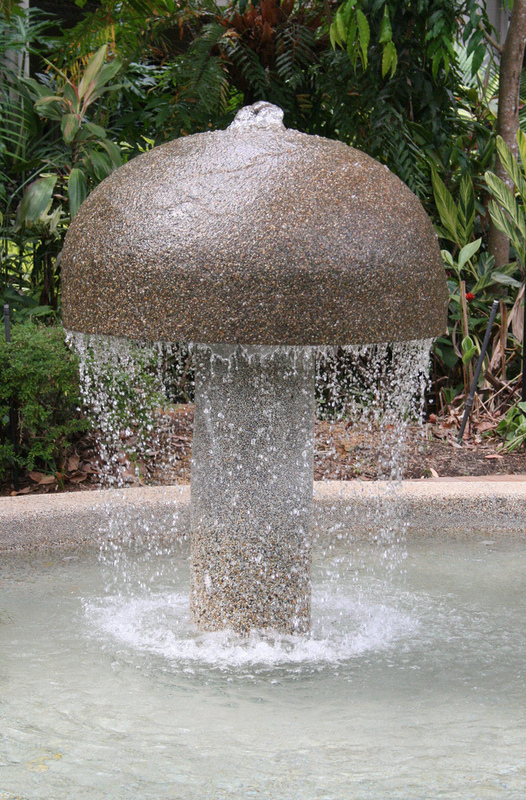 This beautiful mushroom water feature in the toddles wading pool is captivating to watch. It entertains the adults who are there to entertain their babies. 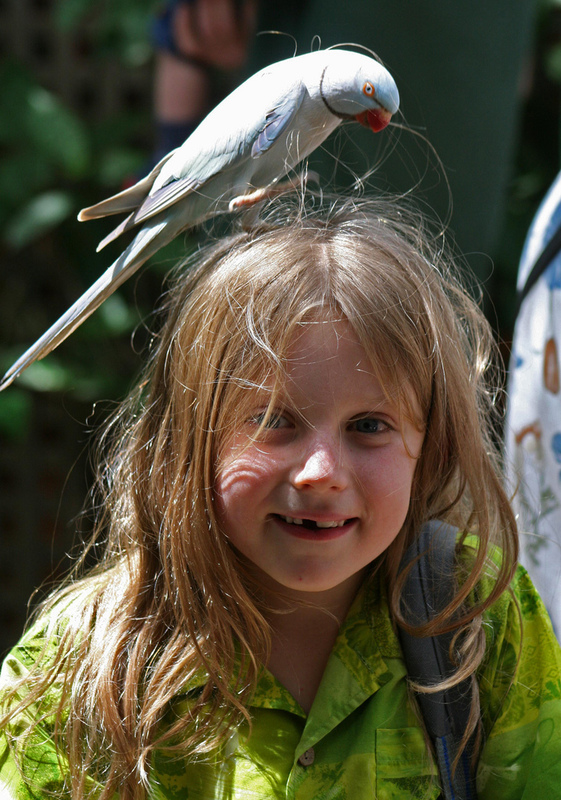 The most treasured memory of our Cairns trip was a visit to Birdworld, which was an easy drive from the resort. The children had a wonderful time making friends and hand feeding a huge range of spectacular bird life; one of whom kept a memento of our visit, with some extra nesting material! 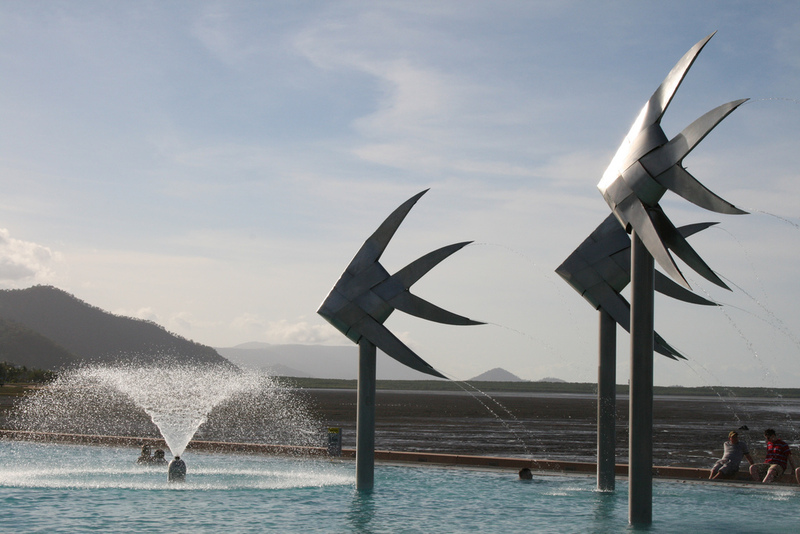 I loved the fished sculptures at the Cairns Swimming Lagoon in the centre of town. Beautiful modern art in a tropical setting for everyone to enjoy. The lagoon is huge with an idyllic outlook.